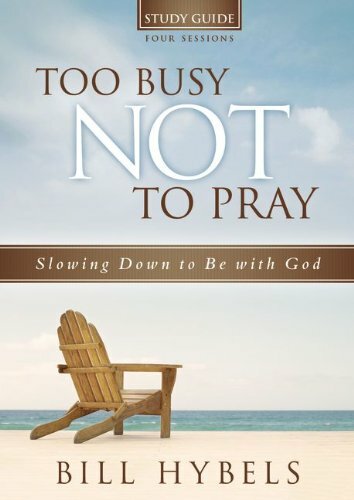 In this four-session video Bible study based on bestselling author and pastor Bill Hybels's classic book on prayer, Too Busy Not to Pray, he calls both young and old to make prayer a priority, broadening our vision for what our eternal, powerful God does when his people slow down to pray. 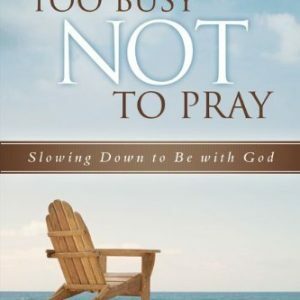 The urgent need for prayer in today’s broken world is clear, but busyness still keeps many of us from finding time to pray. 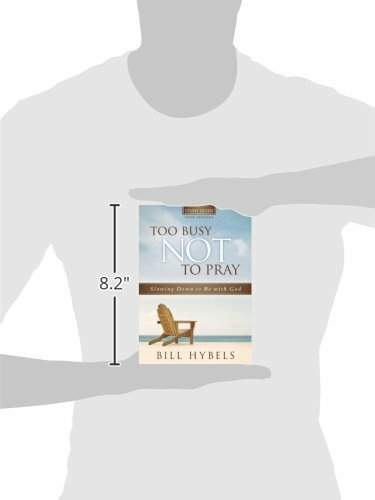 So Bill Hybels offers us his practical, time-tested ideas on slowing down to pray. 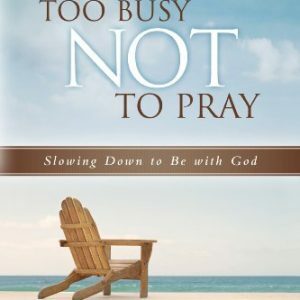 The coordinating Too Busy Not to Pray DVD (included) leads individuals and small groups through discussion topics, group activities, and in-between-studies assignments. Hybels helps you slow down, listen to God, and learn how to respond. As a result, you will grow closer to God and experience the benefits of spending time with him. Pack includes one softcover study guide and one four-session DVD. 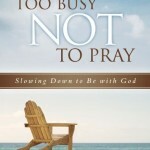 This is the second time our bible study group had use “Too Busy Not to Pray”. This topic is relevant to our spiritual growth. It is well written, easy to read and comprehend and full of great material. I like the DVD and think it adds to our study. Not so sure about the Study Guide. I think it is kind of expensive when added to the purchase of the book. Does not contain additional information, just helps guide the discussion. I think you can effectively do this using the questions for discussion already printed in the back of the primary paperback book. 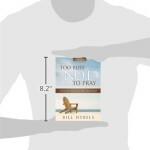 Good Study – This book was written awhile ago but is about a topic that has no time frame. The guide helps the reader focus and bring the information/questions into themselves so they have to really be honest with themselves to claim ownership of any of the ideas/concepts. I recommend the book and guide for all ages. Parents could model a modified version for young children. It is never too soon for God’s children to begin an honest, earnest relationship with Him.